The Microsoft developer platform provides a comprehensive set of tools and technologies. Build apps and services that scale to a broad range of devices and the cloud. Whether you develop for mobile or desktop, for businesses or consumers, use .NET or other programming languages—we have what you need to get the job done. Successful businesses are applying the concepts of mobile, social, and big data to reimagine their business. Cloud creates the connections. Learn about how to run solutions on the cloud with our tools and services. Now's the time to build apps for the new unified Windows platform. Install a single set of developer tools to create apps that are visually engaging and alive across Windows devices. Then get your apps into the Windows Store. Microsoft provides enterprise devs the tools needed for rapid development, modern Application Lifecycle Management, and collaboration to build apps that run on-premises and in the cloud. Gain better insights through intelligent data to reimagine your business. Empower your users to make smarter, faster, data-driven decisions by pairing familiar tools with powerful analytics. Create cutting-edge games for the Xbox One or desktops with powerful 3D graphics using DirectX 11 and Direct3D. Or create great games for mobile devices using cross-platform development tools like Unity or HTML5. App Studio lets you create a content-based app idea by applying text, web content, imagery, and design concepts to a rich set of customizable templates. No coding experience is necessary to get started on your first app. 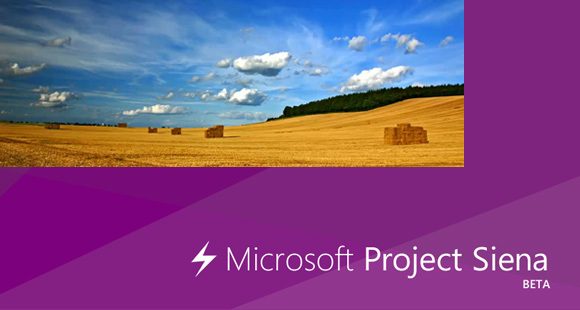 Project Siena is a breakthrough technology that enables businesses to quickly build apps.